my life is back to normal..no more alone thingy! ya my indian man is back! learn to do roti canai?charpati? or missionary stuff..
and he’s gonna work in cyberjaya soon..
so envy can..he got one whole week paid leave!! and he’s claving for all malaysia delight..
jb’ian dress up quite well k! which im kinda proud of..
read this love their outfit!how i wish when im back the bazaar is on! since young we watch s’pore drama series, we speak chinese, we adapt spore cultural..
most of jb’ian noe more abt s’pore than m’sia..coz even news..we watch s’pore news..
thanks sun for organizing the gathering and adopt us to stay in ur hse! hope everyone come k!! !although i noe u girls dun read..hahha..
i miss shopping in s’pore!!! er..hate myself spending too much earlier this month!! i miss all the food! !jb bak kut teh, kue tiao kia, s’pore laksa, mihun and more! im leaving on wed..blog will be not be abandon coz i’ve prepare a schedule post! anyway ill be back with fat kim and more update about the trip and my memories in jb!! after sunday services..me with minimize make up and accessories..
hunt for fathers day present at sunway pyramid! but again mission failed..sorry dad..
stripes singlet: stockist, white peplum: velvet ribbon, bag: sungai wang, friendship shoe: vincci, random white accessories: bkk and sunway pyramid! may God bless us have a safe journey..
‹ Previousi sew my first skirt!! then have u been to jalan dohbi de the girl next door…??? although i dont always comment, but i always read your blog post! 🙂 so of course i won't forget you la. just dont go hiatus for so long. hahaha. bee: not yet last time when i was there..girl next door not yet open..but i m goi this time! !will blog about it ok!! sherlyn:stokist is actually smth i get it from certain shop but dun wanna reveal it..hehe..u can get it from sunway i saw sm places selling it..hehe..thanks ya girl! sarah: argh..u're sweet!!! okok i promise wun go hiatus for long k!! 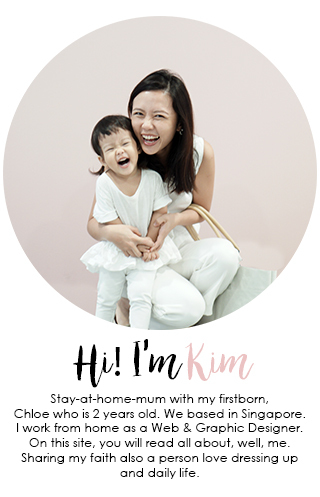 i wish to read ur blog too..
omg i didn't realise how rude i was to ask whether the floral peplum was going be on sale or not T_T i am so sorry babe! <333 but it's so pretty and i'd like to parade around in it, and people will ask me, where did you buy it from? woohoo! wht u oso say when u happy! !hahha!congrats he is finally back! u make me so in love in marina! vivien:its ok darl! !u're not rude!!! !in fact ur word motivate me lar!!! if i have extra time ill really tot of producing more to sell to girls like that love it!!!haha!! u can buy it from vincci and change it with friend or keep it both black and white!!! ashley: woohoo..hahha..tml off to holiday! !another woohoo..for u in love in marina bay?singapore?hahha paiseh me too high!! ya marina is pretty!